When top clubs plan their transfer strategy, they look at the overall package rather than the fee and that is what Sancho so attractive. His latest contract in October tripled his wages at Borussia Dortmund. But only to £52,000-a-week, a pittance compared to most of his fellow England internationals. A new employer could double that, and over the length of a five-year contract still save around £25m on the amount they would usually have to pay a major signing who might demand £200,000-a-week. Undoubtedly Jadon Sancho looks set eventually to get that sort of big money – but at 18 years of age he is ahead of the curve and can afford to bank something much more valuable… experience. Gareth Southgate himself admitted that, growing up, there was not a hair’s breadth between Sancho and his close friend Callum Hudson-Odoi as they emerged through the England age group teams. “It’s difficult to say really because throughout the age groups, they’ve been very similar in their development,” Southgate said. Effectively, one is a regular in the Bundesliga and Champions League, the other, despite now being a full Three Lions international, is yet to make a senior league start. Which is the main reason Sancho got the nod to start at Wembley against the Czech Republic and Hudson-Odoi found himself in familiar surroundings, on the bench. Early in Friday’s game Sancho did concede position a little easily. And after taking the Bundesliga by storm initially, his form has tailed off a little in recent months. He is young; he does still have things to learn. Better he spends another 12 months learning away, largely, from the gaze of English critics by continuing a contract that does not actually expire until 2022. Manchester United is just one of the many clubs who would be willing to wait to bring him back to the Premier League in triumph in 2020. Ed Woodward and co. are targeting up-and-coming prospects as they look to remodel the squad Jose Mourinho left behind. 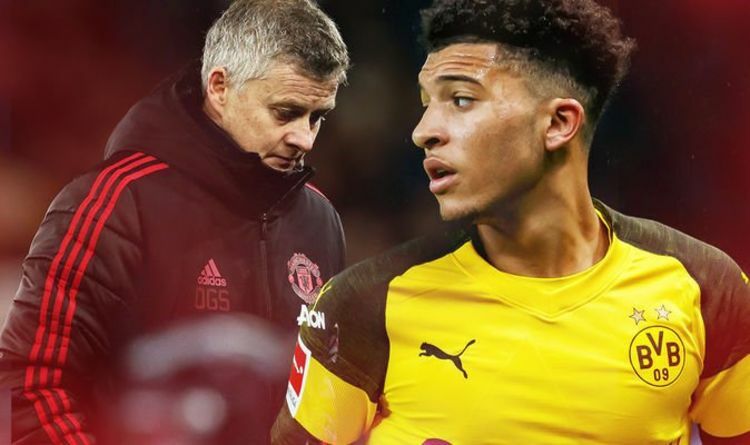 And, with the way the likes of Marcus Rashford have thrived under Ole Gunnar Solskjaer so far, Sancho would have plenty of reason to fancy a move to Old Trafford this year. He would, though, be wise to wait before swapping Dortmund for Manchester or sealing a switch to one of United’s illustrious rivals.